February ____, 2019, 9:30 a.m.- 12:00 p.m.
Come for some friendship and fun at Linda’s happy home. 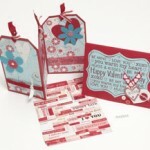 and make many unique Valentine’s day crafts and cards to share with friends, teachers and family members. Girls age 5 to 12 are welcome! Spread the word to girls who like to laugh and try new things so that they can be our Valentines too! It’s cool to be kind. Creativity and independence in problem solving is admirable. It’s fun and growthful to try new things. Girl power is the power to be our best selves and good supportive friends to others. Register today! This pre-Valentine’s day event is $30. If you sign up for the Pre-Halloween and the Pre-Valentine’s day together it is $50 for both. Looking for a program that is fun yet meaningful? Applications and more information for summer program is on my website at www.surpriseenterprise.com. Register today! Please Download the form, print and fill it out and send with a check to Linda Levine. Thanks!